Fresh roasted coffee on auto-pilot! With an Evansville Coffee Subscription, you don’t have to worry about ordering coffee. We automatically send your favorite selection, weekly or as often as you like, so that your stash is always fresh. You can change, pause, or cancel your subscription at any time. It’s the easiest way to guarantee you’ll always have the freshest coffee in your home. Now, isn’t that better than buying old coffee off the grocery shelf? 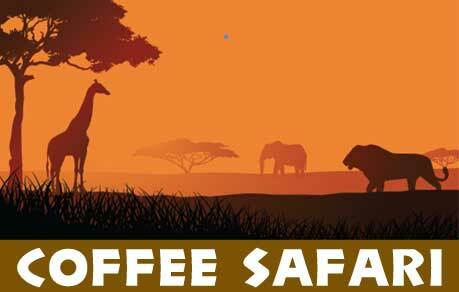 Outstanding coffees from around the world, procured and roasted in small quantities exclusively for our safari members.